Ohm Studio: a new kind of DAW? 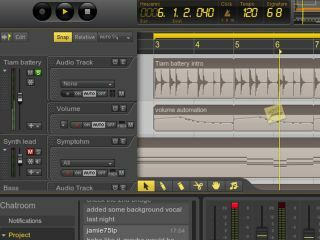 Ohm Force's Ohm Studio has been in the works for a while now: it's a new DAW that focuses heavily on online collaboration features. Pleasingly, the company has now made the beta version available to anyone who wants to download it. It's cross platform and offers multi-track audio/MIDI recording, a fully-featured mixer, VST support and a "straightforward and fluid" interface. You can get in touch with other users via Ohm Studio's 'community' system, then collaborate with them in real-time. All data transfer is handled in the background, and if one of your partners doesn't have a plug-in that you're using, a track freeze feature makes it possible for them to hear the relevant part. Check out the Ohm Studio website for all the details.